On October 23rd, 2018, over 200 community leaders involved with nonprofits convened at the Pleasant Hill Community Center for the Sanford Institute of Philanthropy at JFKU’s annual summit, a day of tackling the larger issues challenging the nonprofit sector as a whole. The day-long event featured a keynote speaker as well as an afternoon speaker, a panel of experts, and two world-cafe-style brainstorming sessions. As the pens scribbled and coffee and conversation flowed, several big ideas emerged. These ideas included that of organizations investing in themselves in areas where it really matters, such as storytelling, as well as an emphasis on cross-organization collaboration to expand on resources and learning. Janus’ points set the stage for the next phase of the day, a period of brainstorming and exchange in which participants had the opportunity to drill down on some of the ideas laid out in the keynote. The subsequent world-cafe-style brainstorming sessions focused on two areas derived from Janus’ talk: measuring impact and collaborative leadership. These two areas quickly became the source of the day’s main takeaways. 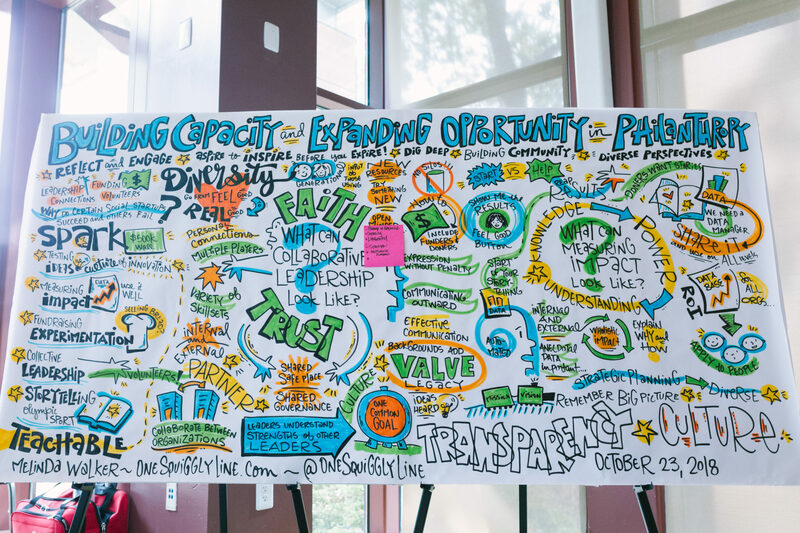 With a graphic artist live-drawing a colorful portrait of the day’s notes, a representative from each table reported the findings of their table’s brainstorming session to the room. In terms of measuring impact, the reports emphasized the importance of collecting meaningful data as well as using that data in an intentional, meaningful way—especially through storytelling. “Data is the starting point of your storytelling,” said Knigi Glee, Growth Marketing Consultant with Glee Growth Strategies. While the importance of investing in good storytelling was a theme that held strong throughout the day, it was particularly this notion of using data to generate stories that garnered steadily more traction and enthusiasm among participants. In terms of collaborative leadership, SIP Summit speakers and participants emphatically highlighted the importance of inter-organizational collaboration and the hows and whys of providing for a transparent flow of resources and learning among nonprofits. 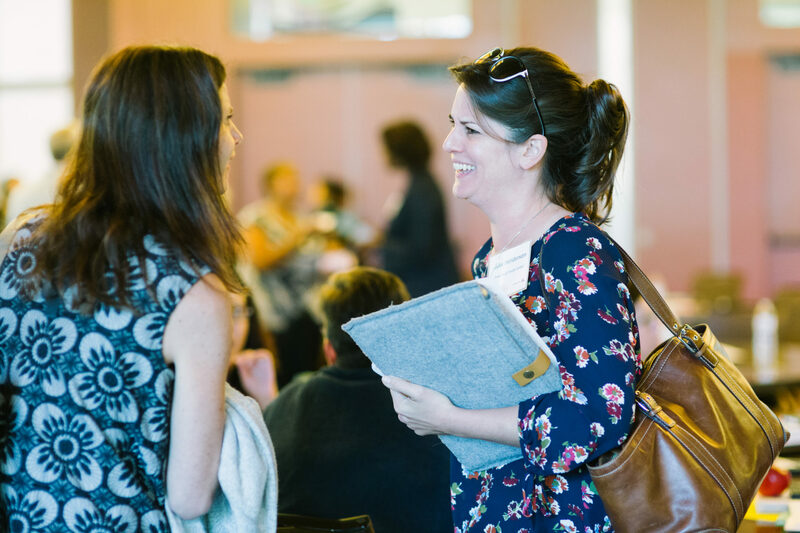 “Collaborative leadership generates awareness of others’ ideas and opportunity for partnerships,” explained Jessica Siegel, Director of the Diablo Valley Arts Academy. Similarly, Dr. Benisa Berry, Diversity and Inclusion Officer at JFKU emphasized, “We are all running around only in our own spheres so we’re not getting our work out there on a wide enough scale.” Not only can collaboration help organizations generate greater capacity, it can help sectors of the nonprofit world have greater impact overall. Once they have identified what they want, Gottlieb continued, change-makers might ask themselves the following two questions: “Who else cares?” and “What do we have together?” These two questions underlined the day’s emphasis on collaboration. 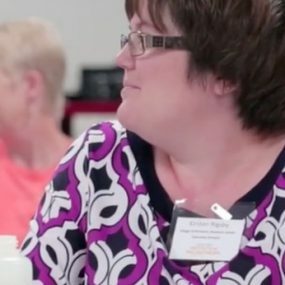 Having organized a large-scale diaper drive with minimal staff and on a shoe-string budget, Gottlieb demonstrated to her audience just how much is possible when we find the people and organizations around us who share our concerns and when we form alliances with those who already possess the resources we need. A mindset of collaboration combats one of competition and scarcity, she explained. “One of the most important things we can do is get to know each other,” said Gottlieb, explaining that taking the time to find out who our coworkers and partners are and what drives them is a way of building trust, contributing to story, and setting the stage for success. The format of the SIP Summit, with its focus on conversation and exchange, exemplified this spirit of collaboration and connection. Such a free exchange of information, sustained inquiry, and earnest debriefing is something that occurs far too rarely across organizations and even within them. Both speakers encouraged their audience to continue the type of exchange they had experienced throughout the day. “This can go beyond conferences,” said Kathleen Kelly Janus in her closing remarks, and encouraged the formation of dinner groups, professional development groups, or even reading or writing groups—ways in which, on a regular and informal basis, participants might continue to tackle issues, help each other, and envision the future together. Continue down the rabbit hole. 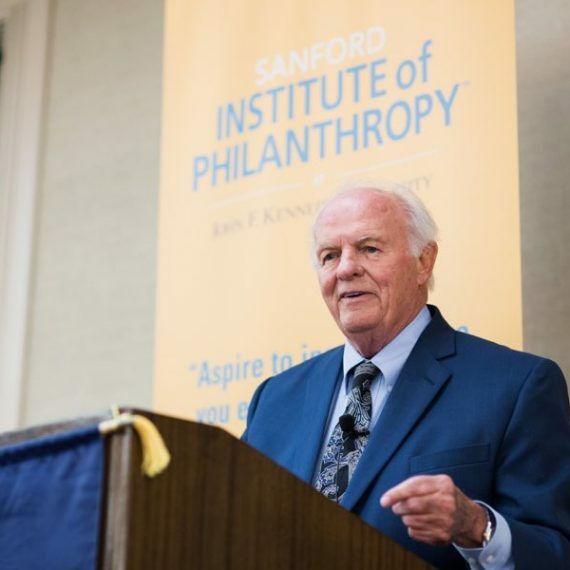 Read more about the Sanford Institute of Philanthropy.